Introducing our premium Show Range for Horses & Hounds. We have taken the most pure, natural & effective ingredients that our environment has to offer, and squeezed them into one easy-use bottle. 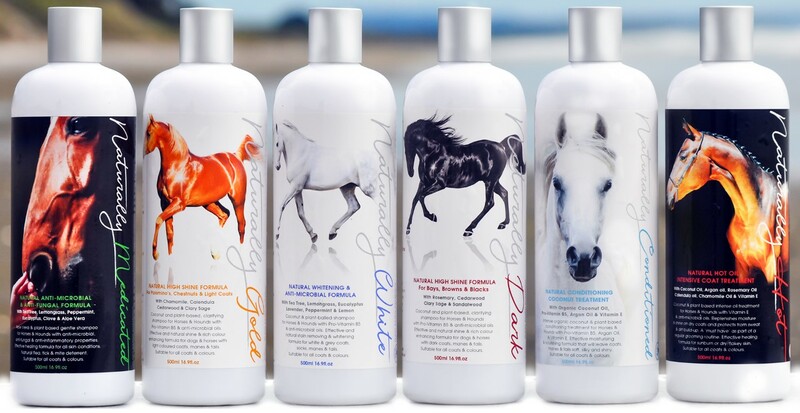 You no longer need to use harsh chemicals, synthetic dyes, silicones or preservatives to get that 'wow' look for your horse or hound. Stand out from the crowd, naturally.